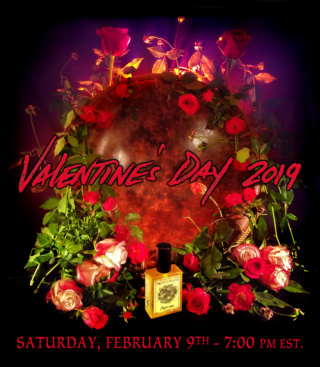 The V-day release will be live tonight at 7 p.m. EST at www.solsticescents.com. EDGE OF THE NIGHT - Black Vanilla, Soft Spices, Red Musk, Chypre Base (Technically General Catalog but the perfume oil is returning after a long time of being out of stock. Eau de Parfum and Burnishing Glace also available). All of the Valentine's Collection perfumes are available in the sampler packs and as the free sample at checkout. If you're on Instagram, look for the Nightgown EDP photo on our feed @solsticescents to read how to enter to win a $60 gift certificate to our site.